So I just need to write a good book (and another and another and . . . ) right? Yes and no. Yes, you need a good book, but you need more than that if you want readers to pick you out of the crowd. There are many, many good books out there that wind up lost because of the sheer volume of titles that are published. Like the opening lines of a book, your brand is a promise to your readers. It tells them what they can expect in your writing and, just as important, how your stories differ from all the other stories out there. But I’m not even published yet. I just need to focus on writing right now. Writing takes precedence, of course, and if you just want to write and don’t care if you ever sell a book then never mind, sorry to have bothered you, go on back to your writing. If you do want have people read your books at some point (and hopefully buy them), then you probably want to start thinking about your author brand now, when you have the time to do so. You don’t want to wind up trying to think about it in a rush at the last minute when you’re about to meet with an agent or have a book coming out (kind of like waiting until Christmas Eve to do your shopping). Even if you don’t have a book out yet, you want to generate interest. In our McDaniel classes, we talked about creating Buzz – getting people talking about you and (once they’re out there) your books. Okay, but with no book out, what will I get people talking about and where? Your website/blog is a great place to get started. Your author bio will give readers a clear idea of who you are and what you post will help them see what your writing is like. Some writers post sample chapters or excerpts of their stories (published or in-progress) to garner interest. Others post information relevant to their genre. Several Regency writers that I follow, for example, post interesting Regency information or have a reference-corner on their website. It allows them to reach out to readers so that once they have a book out, they have a pre-built interest. Who are you, as a writer? To know how you want to brand yourself you first need to be very clear about who you are as a writer. What kind of stories do you write? What kind of audience are you trying to reach with them? Think of some of your favorite authors. What attributes distinguish them and/or their stories? Is it humor, recurring themes, a particular writing style? Now think about your own writing and what makes it stand apart it from everything else that is out there. Once you know who you are as a writer, think about how to relay that in a few words or phrases. Just like creating a tagline for your book, you want to create a tagline as part of your author branding. Are you writing Scottish historicals, cozy mysteries featuring a clever cat, books infused with snarky humor? Figure out what ties your writing together and then figure out how to make that clear when readers are on your website/blog or interact with you on other social media. Determining your author brand and developing a plan to put it into action doesn’t have to be a big time commitment and doesn’t have to be done overnight, but if you build time into your schedule now to think about it, then you won’t be caught scrambling later down the road. 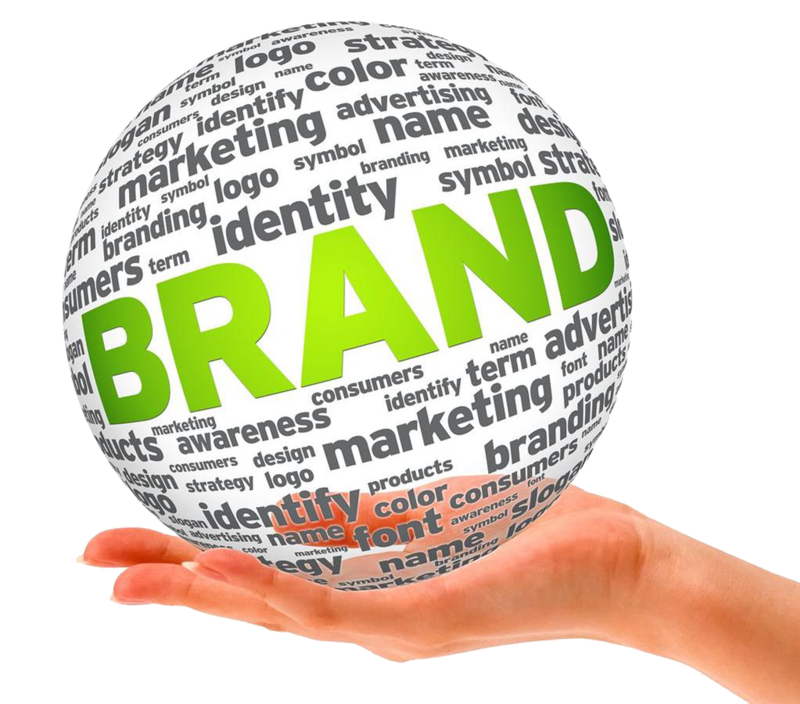 Not sure what your author brand would even look like? Head on out to the internet and check out the websites/blogs of authors you enjoy and/or authors that write in your genre. She what they’ve done, what catches your attention, what does and doesn’t work for you. You can brainstorm with friends and, if you want a more in-depth discussion of this whole topic, Google “author branding” and see what comes up. So, what do you look for in an author’s website? Do you have any that you’d recommend as good examples? This entry was posted in Social Media and tagged author awareness, author branding, author website, Elizabeth Eldridge, writer's life. Bookmark the permalink. First and foremost, lists of the author’s books. For the authors who write series [that word really needs a plural… and a better one than serieses], a list of the books in internal order, separated by series. Prominently feature the next book on the home page, including an estimated publication date. Then there are the usual things about sane menu structures and clean backgrounds. For a stunning example of how NOT to set up your web site, I invite you to look at the official site of Lois McMaster Bujold. She’s a brilliant author, and the web site looks like 1997 vomited on your browser. It has everything but an auto-playing MIDI file. Scott – I laughed out loud at the description of Bujold’s site. Can’t wait to check it out. (-: You ought to see Piers Anthony’s website. I looked him up when we were doing the publishing/marketing course, and (what was it? three years ago already???) three years ago, it was a frightening DIY mess. I think a writer needs to dedicate 5 percent of all profits to hiring help that can make these things look professional. Well . . . “needs” is such a strong word. If one already has a nice following of loyal fans who will buy anything, maybe such a writer who is at a good-enough level doesn’t need to do anything. When you’re looking at authors whose work you don’t know that well, it’s always helpful if the web site reflects the type of books the author writes. So–cute illustrations for the cozies, and so on. Sometimes an author is so big, she doesn’t need a brand, or so it seems. If you go to Nora Roberts’s web site, it’s just several book covers of books of different types, to guess by their cover illustrations. She just seems to defy branding. For the rest of us, though—the better we can show what we do and who we are, the more likely the readers who like our kind of stories will find us, or stick with us. Kay – Nora Roberts was referenced in a number of the branding articles I read as a writer who has achieved such strong branding that all it takes is her name to sell her books. Your point about “reflecting the type of books the author writes” is a good one. Some of the sites I’ve researched haven’t even made it clear the person is a writer, much less what they write. I think there’s a difference between genius-level writers and mid-level writers (I wanted to write “like me”, then change it to “like I’m going to be”, but then though, oh eff it, I’m going to be a superstar until results prove me wrong). What might be considered a person’s brand isn’t really the brand. Genre is like this. Look at David Bowie, who cycled from folk-rock to glam-rock to . . . well, all the things he did. If you look at his genre, you’ve got a mish-mash. But the David Bowie canon isn’t about genre. I can’t quite identify it, but so many of his songs from so many eras can be grafted onto each other and have been forming a delightful earbug of riffs and phrases in my head. HE identified his art as being about isolation, loneliness and misery. So, he’s got that thematic thing going. There are also certain riffs, and I just read in an interview that he objected to certain songs of “The Man Who Sold the World” as not being considered “his” songs — he said something like “look at the chord changes — nobody does chord changes like that”. So, genre is one easy way to brand. But I think worldview and maybe certain stylistic devices in your writing may also be a good way to brand. Jennifer Crusie always gives you a community. Lois McMaster Bujold always gives you a subversion of tropes that makes you look at real life more deeply. It’s harder to sell that to the marketing department, but in some ways, it’s a truer way to market — and also lets me be true to writing my best story instead of extruding some sort of Story Product, Cozy Flavor or whatever. It always is a product. I shouldn’t be all artsy-fartsy about that. But it should be product formed to a specific function, not to a specific aesthetic . . . shouldn’t it? Oh boy, I’m getting bogged down now. Outside aesthetic? Oh boy, oh boy. We need input, though, so I don’t know where I’m going with this argument anymore. Will think about it more.